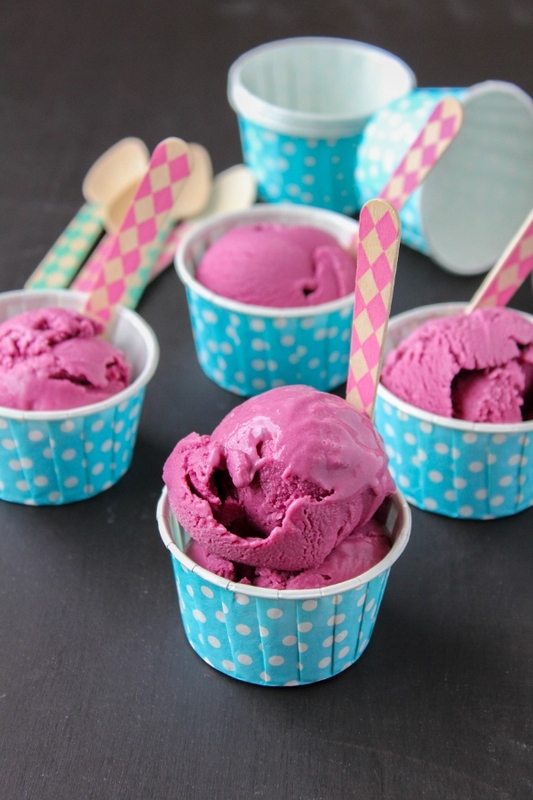 Fresh, juicy blackberries combined with thick Greek yogurt make a healthy frozen treat! Blackberries are a favorite in our house. My oldest son snacks on them any time of the day, and he always loves it when I cook with them too. Pancakes, muffins, smoothies, you name it, I'll make it with fresh blackberries. I had been wanting to experiment with a new frozen yogurt recipe for some time, I just wasn't sure what flavor to go with. 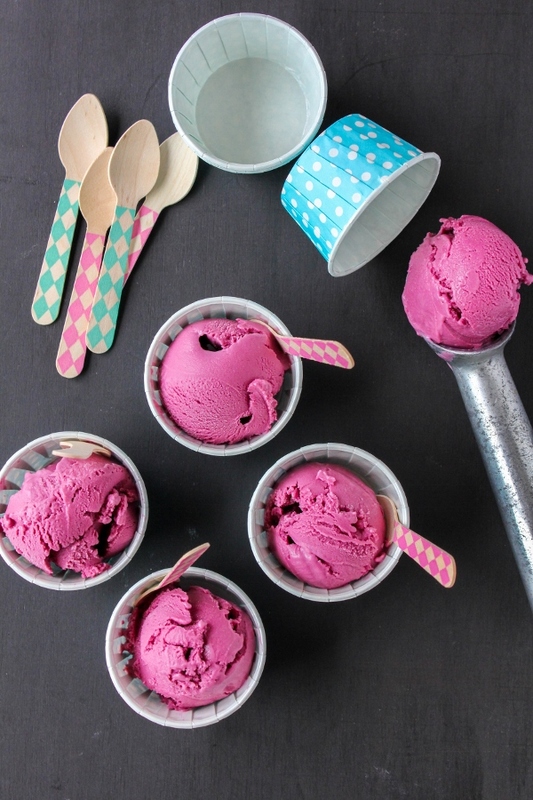 I snagged some beautiful blackberries from the market one day and when I got home I just knew that they would be perfect for this frozen treat. This recipe is super simple and very healthy. 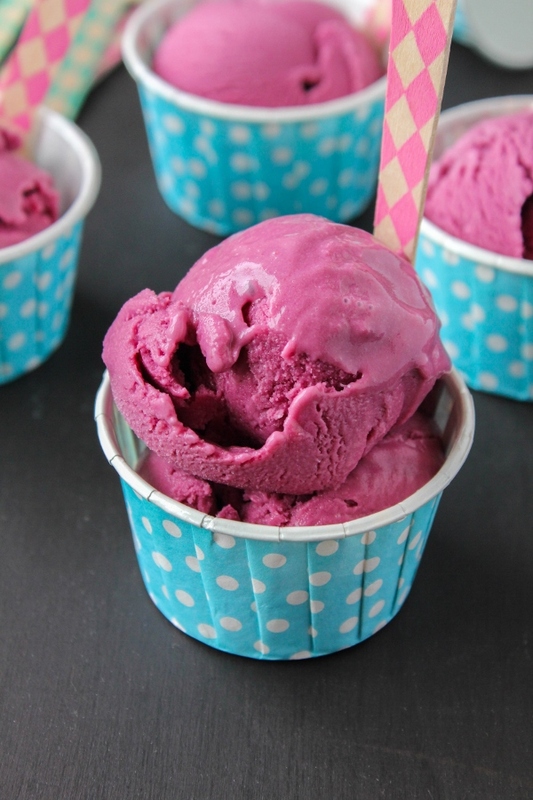 Just four simple ingredients turn into the most delicious frozen yogurt you can imagine. 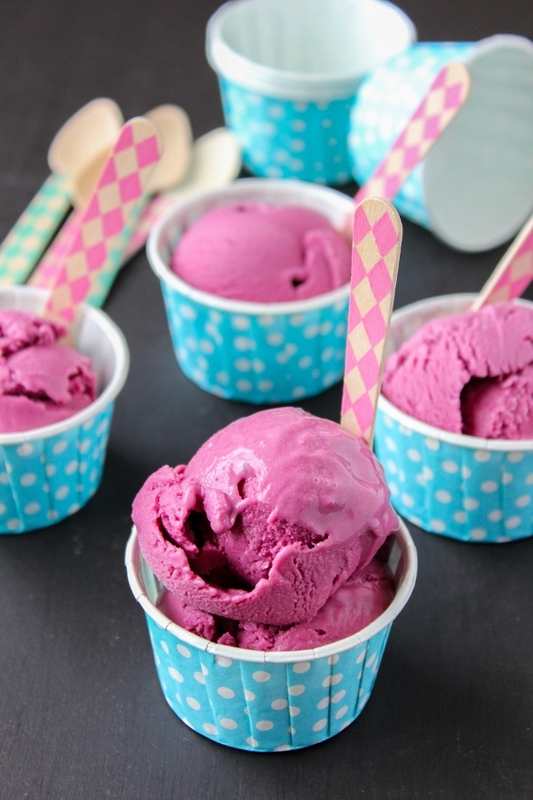 The Greek yogurt makes it incredibly creamy, and the color is absolutely stunning! This is a dessert you can feel good about giving to your family this summer. In a food processor or blender add the blackberries, sugar and vanilla and process until smooth. Pour the mixture through a fine mesh sieve and press to remove the seeds. Add the blackberry mixture and yogurt to a large bowl and whisk vigorously until well combined. Cover the mixture and refrigerate for about 2 hours. 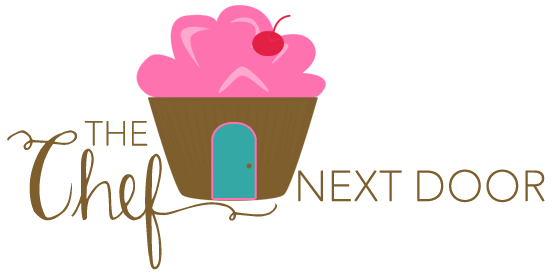 Pour the mixture into the frozen freezer bowl of your ice cream maker and turn the mixer on. Let it mix until thickened, about 20 minutes. The yogurt will have a soft serve, creamy texture. Transfer the yogurt to an airtight container and place in the freezer for about 2 hours to firm up. Allow to rest on the counter for about 15 minutes before serving.